Melt two packages of white CandiQuick/pre-made almond bark candy, which you can find by the chocolate chips in the baking aisle of your grocery store. Mix in 2 lbs. of roasted, salted almonds. Spread the whole shebang on a Silpat or other nonstick surface so all the almonds are in one layer but covered by the melted candy. When cool, break into pieces. Eat it! 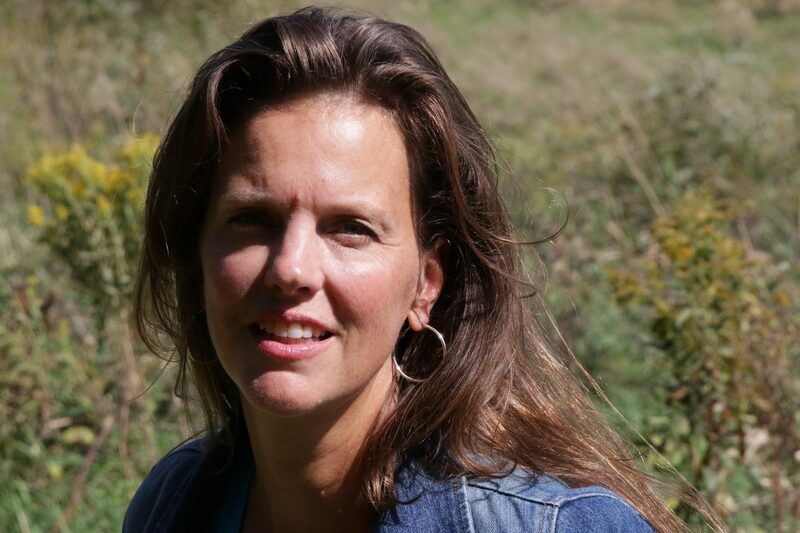 Errin Stevens writes paranormal romantic suspense from her home in Minnesota, where she lives with her husband and son. And several fluffy, friendly dust bunnies! 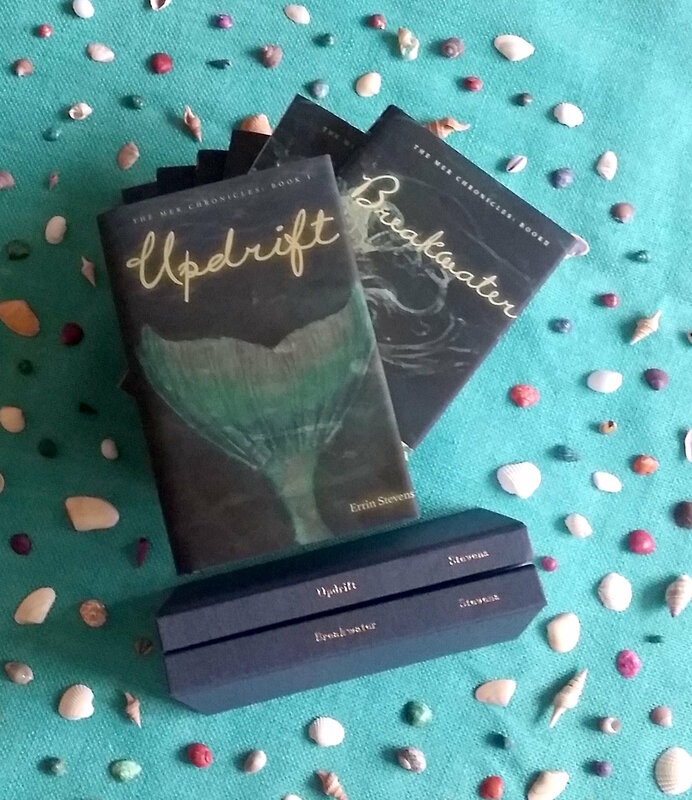 Errin will be giving away a paperback set of Updrift and its sequel, Breakwater. She’s also going to include an adult sea-themed coloring book, coloring pencils, a sea charm bookmark, an Updrift lens cleaner, and a chocolate bar. Because mermaids love chocolate! To enter use the Rafflecopter below to sign up for Errin’s newsletter list. This contest will stay open until December 28th. A winner will be selected on the 29th. Need to catch up on the tour? Day One Sean Kerr visited us sharing a recipe, an excerpt, and a giveaway. Sean’s giveaway is open until December 26th. Catch up with Sean here. Day Two Dena Garson stopped by to tell us about her holidays, share an excerpt and offer a giveaway. Dena’s giveaway is open until the end of the tour. Catch up with Dena here. Day Three M Jane Colette visited us for a therapy session. She also shared an excerpt and has a few giveaways going. Jane’s giveaway is open until the end of the tour. Plus get a FREE ebook when you sign up for her newsletter Catch up with Jane here. Day Four Lacie Doyle came by to tell us about her Big Fat Greek Wedding style Christmases, share an excerpt from The Deal, and offer up a giveaway. Lacie’s giveaway is open until the end of the tour. Catch up with Lacie here. Day Five Jan Graham visits us and shares a tasty looking recipe, and excerpt and a giveaway. Jan’s giveaway is open until the end of the tour. Catch up with Jan here. Day Seven Matt Converse visited us and shared his horror holiday tradition, as well as an excerpt and a giveaway. Matt’s giveaway is open until the end of the tour. Catch up with Matt here. Day Eight L.A. Remenicky stopped by and shared an appetizer recipe, the blurb from her holiday story and a giveaway. Remenicky’s giveaway will be open until December 27th. Catch up with L.A. Remenicky here. Day Nine come and visit with me. I shared a few cookie recipes, a naughty holiday excerpt, and a giveaway. My giveaway will be open until the end of the tour. Catch up with Cameron here. Day Ten Lilly Rayman visits the blog and tells us how her Christmas has changed, shares an excerpt, and has a giveaway. Additionally Lilly is giving a FREE book to everyone who visits her blog post. Catch up with Lilly here. Day Eleven Lynda J Cox stopped by to chat about the holidays, and share an excerpt and giveaways. Catch up with Lynda here. Day Twelve Rosie Chapel came by to tell us about her Christmas historical romance, and share a giveaway. Catch up with Rosie here. Day Thirteen Kelly Stock stopped in to tell us about her holidays and share an excerpt from her urban fantasy novel, and of course do a giveaway! Catch up with Kelly here. Day Fourteen Sarah Hawthorne shared a recipe with us, and tells us about her upcoming release. Sarah is also giving away an ebook to each person who visits the blog. Catch up with Sarah here. Thank you so much Errin for being part of the tour!